THINGS won't quite be the same without them. But the show must always go on. And with injuries, form and father time taking their toll, there are some big names who are at the very least contemplating if this season is their last. We look across the NRL at who is most likely hanging the boots up at the end of 2017. 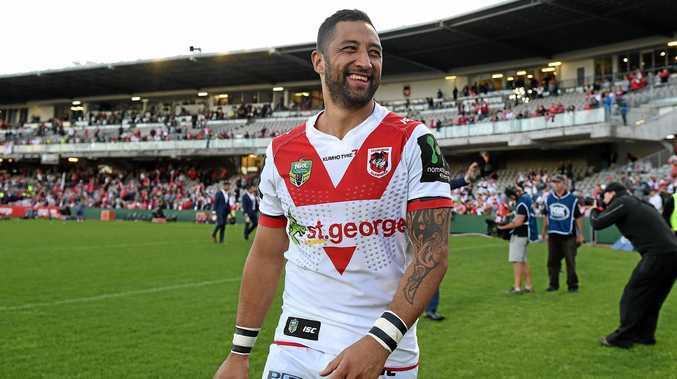 The former Wests Tigers and St George Illawarra star was almost forced into retirement after the Dragons withdrew their offer to re-sign him last season. The 31-year-old was in limbo before being signed to a one-year deal at Brisbane. With the Broncos boasting a host of current internationals across their squad, Marshall is no certainty to play NRL, so this season shapes a crucial one if he's to play beyond 2017. The Raiders prop has already announced this season will be his last. The 34-year-old ex-Kiwi international debuted in 2004 and has played at the Tigers, Melbourne, South Sydney, Canberra and Super League clubs Wigan and Catalans. "I'm just going to try and get this year out of the way, I'll probably try and do something to help young players coming through," Lima said recently. The Cronulla skipper has said it's a "fair chance" this season will be his last, but hasn't completely ruled out playing on. The 35-year-old has already pulled the pin on his representative career in order to lead the Sharks throughout their 50th anniversary celebrations. But after a premiership, Origin series win and World Cup triumph, you couldn't blame the workhorse for calling it a day. Another Sharks forward who's likely to hang up the boots at the end of the season. The 34-year-old is just five games from his 300th NRL appearance and has been one of the competition's most consistent forwards since debuting in 2003. Off-contract at the end of 2017, Heighington has tasted premiership glory twice and represented England on three occasions. The 33-year-old is off-contract at the end of the season, but believes he could play on into 2018. Lewis wanted a two-year deal when he re-signed with the Sharks last year, but is happy to take his career one season at a time. After winning the 2016 Clive Churchill Medal, age isn't too much of a barrier for the hard-running back-rower. But the reality is the Sharks have some tough decisions ahead with a new crop of young forwards coming through their ranks and a premiership drop-off to avoid. The Gold Coast prop called it quits last week before a ball was even kicked due to chronic injuries. Shillington had suffered a host of setbacks in recent seasons including back, shoulder and pectoral muscle issues. The 33-year-old made his NRL debut for the Roosters in 2005, before moving to Canberra in 2009 and then the Gold Coast in 2016. In total, he made 215 NRL appearances. He also played 14 Tests for Australia and eight Origins for Queensland. "It's not necessarily the way that you'd like to retire from the game but injuries are a part of it and it's just all a bit much for me to continue putting my body through it," Shillington said. The Gold Coast outside back might only be 30, but the fact is he's off-contract at the end of the season and has struggled to break into the Titans' top 17 over the past two years due to injury and form. Zillman debuted at Canberra in 2006 and played three seasons there before joining the Titans, where he's since made 141 appearances. A big season may keep his NRL career alive, but its unlikely to be on the Glitter Strip - as early as July last year Zillman was told he was free to go elsewhere if he could find another deal. On his day, the "Prince of Brookvale" rivalled Billy Slater as the best fullback in the comp. Unfortunately chronic knee injuries have hampered him over recent years and Manly has applied for a medical retirement clearance to wipe his salary from their 2017 cap - a move denied by the NRL. Stewart, who played a big role in the Sea Eagles' 2008 and 2011 title wins, has only played 13 games in 18 months. It's a sad end for one of the best to ever wear the maroon and white. 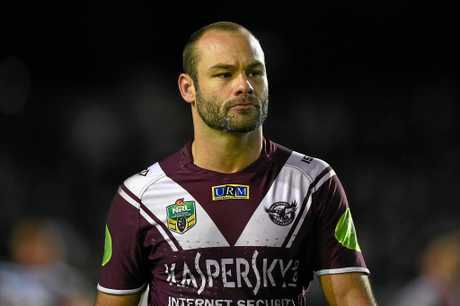 Manly has also applied for a medical retirement clearance for the 32-year-old hard-tackling centre, who has struggled with various neck, shoulder and back injuries throughout his career. One of the NRL's most brutal defenders, Matai played 229 NRL games for the Sea Eagles and 10 Tests for New Zealand. Like Stewart, Matai won two grand finals but his unfortunate recent run of injuries have meant he hasn't made an appearance since round nine last season. The Melbourne star's playing future has been under a constant cloud since severely injuring his shoulder two years ago. The 33-year-old has played just one NRL game since but is determined to end his career on his own terms. Off-contract at the end of the season, and with young star Cameron Munster waiting to permanently take over his No.1 jersey, this year will most likely be Slater's last. The former Australian Test representative was all set to hang up the boots after a short stint in England. Then the Knights came calling with a one-year lifeline. The 33-year-old, who will be 34 by round one, debuted in 2004 with the Roosters before moving to Cronulla in 2009. After playing 236 NRL games, four Origins for NSW and 11 Tests for Australia, he joined Wakefield for 18 games. Born in Newcastle, Tupou's addition to a young Knights pack will no doubt be a valuable one. Frank the Tank is back in the NRL on a one-year deal, and has apparently been belting his new Parramatta teammates up and down the training paddock all summer in anticipation. Pritchard left Canterbury to ease salary cap pressure on his beloved Bulldogs at the end of 2015. He enjoyed his time at Hull, helping the club to a Challenge Cup win at Wembley, but still longed for home and found a new one at Parramatta. At 33 Pritchard is most likely shaping up for a one-season swansong, but could eke another year yet out of Brad Arthur if he hits the ground running. The 33-year-old fullback has joined the Roosters on a one-year deal for 2017, but whether he'll play on beyond that remains to be seen. Gordon is expected to take over the Tricolours' No.1 jersey this season and play a mentoring role to the club's rising stars including Latrell Mitchell. With the likes of Mitchell, Joseph Manu and Johnny Tuivasa-Sheck coming through the ranks, Gordon's time at Bondi could be short-lived. Even at his peak you could never accuse Jeff Robson of being flashy. Sure is reliable though. 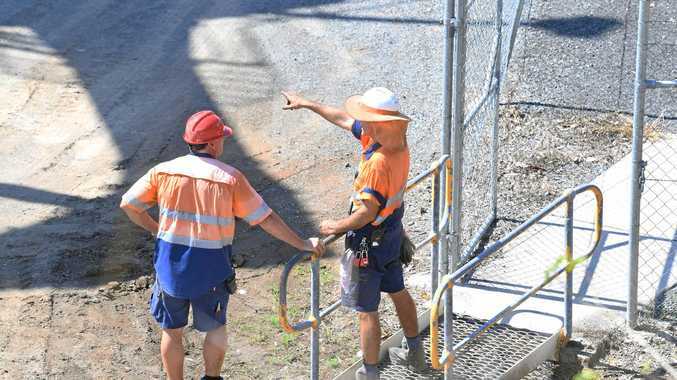 The 34-year-old has been doing his home town of Leeton in NSW's Riverina region proud for well over a decade now. 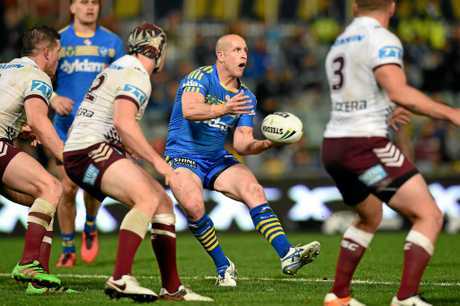 He arrived back at Parramatta for one last trundle in 2016, seven years after leading them to their last grand final appearance. Despite his wife pushing for Robson to call it a day, he'll offer back-up again to Brad Arthur's playmaking stocks in 2017 having signed another one-year deal last year. At 31 Dane Nielsen is certainly young enough to keep going, but a total of 14 top-grade games in the past two years, at three clubs, suggest time is ticking for the former Maroons centre. Nielsen arrived at the Rabbitohs last year from Super League's second-tier with Bradford, having been released by the Dragons after a 2015 off-field incident in which he allegedly bit a woman at a Cronulla nightspot. Off-contract and struggling to break into the Bunnies backline, Nielsen did himself no favours when he turned up to pre-season training in January "looking worse for wear". He was spared the axe but banished to reserve grade training with North Sydney, and you have to wonder whether Souths will bother keeping him beyond 2017. The 32-year-old Queensland Origin prop is one of a number of big names off-contract at the Warriors so the club will have some big decisions to make. The club is currently in talks to extend Shaun Johnson's time there, while the likes of Ben Matulino, Kieran Foran, Bodene Thompson and Albert Vete are also chasing new deals. Promising young forwards are something the club has never been short of, so they'll no doubt be mindful of that when it comes to whether they retain Lillyman.